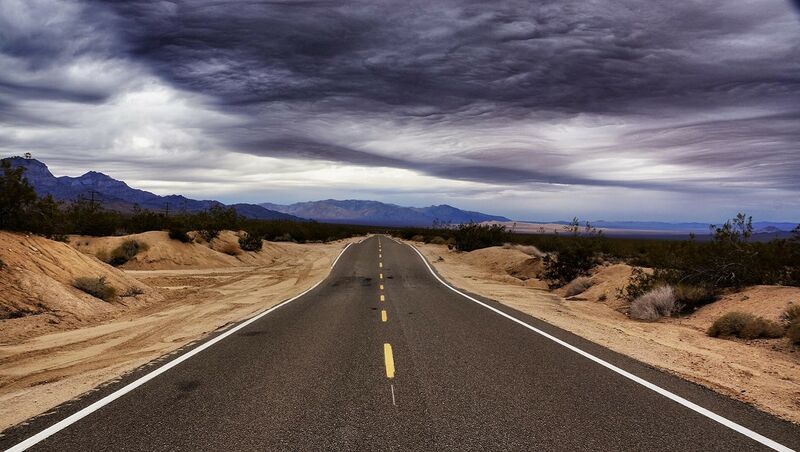 There is nothing more freeing than a long drive down an open road. Road trips are my favorite way to travel, especially during the warm weather months! You get to see more and you have more flexibility to do what you want because you are not tied to any schedule. Preparing for your road trip can make the difference between it being the best trip ever and a nightmare. It can be overwhelming trying to figure out what to bring on a road trip, especially if it is your first one. In this post, I share some of my tips on what you need to do to prepare and pack for a road trip. It’s based on my experience doing road trips in a few different countries in recent years, including a road trip in Portugal and several road trips in the UK, plus my time exploring the US. Not all road trips are the same, so what you need to pack for each road trip may vary. I created the road trip packing list below to be comprehensive, so depending on the details of your road trip, you may not need everything on the list. Or you might also want to include some items from this Motorhome packing list if that’s the kind of road trip you have planned. Just make sure that you are prepared for your road trip because you won’t always be able to stop by the store. It’s best to make a list so that you don’t forget any road trip necessities. Below are my suggestions for what to include. Let’s start out by going over some of the most important things to pack for a road trip. Driver’s license: In the US, you must carry your license with you when you drive. I know this is not the case in all countries though. It’s a good idea to check the requirements before your road trip. Sunglasses and holder: Sunglasses are top of my list of things to bring on a road trip because, for some reason, this is the one thing I forget the most. Squinting while driving into the sun is not a good look, so bring along sunglasses! It’s also nice to be able to put your sunglasses up when it’s cloudy. If you don’t already have sunglasses clips on your visor, check out this one on Amazon that can hold two pairs of glasses. Windshield/Window Screen – The sun can heat up your car quickly especially if you have a black interior. I put a screen on the windshield when we park to keep the car cooler. It will also help prevent the interior of the car from getting sun damage. (Click here to check price and availability on Amazon). You can also get similar screens for the side windows. (Click here to check the price and availability on Amazon). Snacks – You are going to need snacks on your road trip to tide you over between meals and keep energy levels up. Of course, you can pick up road trips snacks when you stop for gas, but it’s more cost effective to buy them from Amazon or your local grocery store. To save money, buy larger quantities and store them in airtight containers. The airtight containers also help keep your food from getting smushed. Water/Drinks – When you are doing a road trip it is always a balance between staying hydrating and having to go to the bathroom! It’s important to stay hydrated when you travel. I am a water drinker myself, but bring whatever you like to drink. Travel Coffee Maker – Speaking of drinks, you may need some coffee to help you wake up in the morning! There are actually several portable coffee machines that make amazing coffee. Personally, we love our Aeropress. It doesn’t need electricity, just hot water. We love the coffee it makes so much that we use it even when we are not on the road. Be sure to also bring along your favorite ground coffee. Travel Mug/Reusable Water Bottle – It’s important to try and minimize the use of plastic bottles and cups, so taking a travel mug or reusable water bottle (like this one) makes sense from an environmental perspective. It will save you money and can also help your drinks maintain the appropriate temperature. Cooler: It’s nice to have a cooler for your road trip to keep your drinks and any food that needs to be refrigerated cold. You can even get a cooler that you plug into your lighter. That way you don’t have to worry about making sure you have ice and it hasn’t melted too much. Click here to check out the current price and availability for the Igloo Iceless Cooler. Or you might be interested in a roller cooler backpack. Portable Battery Charger: We have both our phone plus other electronic equipment so we are almost always charging something. I always bring along my portable charger (like this one) since it can charge up to three electronics at the same time. We also can charge one phone through our Bluetooth device. Some new cars have USB ports so all you need are cables. This retractable one for Apple products gives you the flexibility of a longer cord, but keep things neat and organized. Umbrella: You always want good weather on any trip, but it’s best to be prepared for the worst. I would recommend bringing an umbrella, but hopefully, it stays in the trunk or under your seat. If you need a new brolly, as I call it now that I’ve moved to England, you can check out the great selection of umbrellas on Amazon. First Aid Kit: You should keep a first aid kit in the car at all times because you never know when you might need it. It is important to have it on your road trip supply list because something could happen when you are miles away from the nearest store or gas station. You want a compact but comprehensive first aid kit. I like one by Swiss Safe. Click here to check prices and availability on Amazon. Toilet Paper – It’s nice to have some toilet paper just in case. You never know if you will find a good toilet or what the condition of the restrooms you stop at will be. Better safe than sorry! If you are worried about the toilet situation on the road, you might want to try a female urination device. It lets women go to the bathroom standing up. (Click here to check out the GoGirl Female Urination device on Amazon). Hand Sanitizer: On a road trip, there are going to be times when there is no place to wash your hands. Hand Sanitizer can be a lifesaver. A small bottle, like this one, will probably last you a few trips. In the winter, you can put hand sanitizer on a frozen lock to melt the ice. Blankets: If you are like me and get cold easily, you might want to bring a blanket. That way everyone in the car can be more comfortable. If you want to splurge, check out this electric blanket that you can plug into the lighter of your car. Pillows: You are going to be in the car seat for a while and you want to be comfortable, that’s why pillows are one of my long road trip essentials. That might mean lumbar support, some extra cushioning to sit on, or even a neck pillow for passengers that might want to nap. Trash Can: On a road trip, you are going to have some trash, unfortunately, so you will need something to keep it contained to make sure the car stays nice and neat. You can line a cereal storage container (like this one on Amazon), with a trash bag and you have a trash can that doesn’t take up too much space and contains any smells. Air Freshener: Just like you have an air freshener at home, it’s nice to have one in the car to keep things from getting stuffy. I prefer the ones that you can clip on to the vents and adjust the level of intensity of the scent like this air freshener. Jumper Cables: Hopefully, (and most likely) you will not need jumper cables, but it’s a good idea to always have some in your trunk. You can pick up some jumper cables on Amazon for much less than what it would cost for a tow truck. Honestly, it’s a good idea to keep jumper cables in your car, even if you are not on a road trip. Alternatively, you could get a car battery charger. Cash/Small Change: You should research the toll process for the areas that you will be driving through. In some cases, you can pay online or even get automatically billed. In other cases, you may need to have cash to pay the tolls. It’s best to be prepared so that it doesn’t catch you off guard. If you will be going through lots of toll booth that require change, you might want to get a coin organizer like this one. If you have a newer vehicle these items may already be built into your car, but if you have an older vehicle like we do, you might need these gadgets on your packing list for your car trip! GPS: I know a lot of people have GPS built into their cars, but since we don’t, we like to use google maps from our phones for navigation. It’s important to make sure that you have maps that you can access when you don’t have any cell signal. We download google maps for the areas that we plan on visiting. Make sure you do the download while you still have wifi because it is a lot of data. Having GPS can really help when there are unexpected road closures. The GPS can find detour routes that I don’t think you would have ever been able to find on your own. It gives you an estimated time of arrival and alerts you to potential travel problems – both of which are invaluable! Maps: I know some people still prefer old-fashioned maps and there is nothing wrong with that, but make sure you get maps that are up to date and have sufficient detail. I like the Rand McNally spiral bound ones because they are easier to use. (Click here to check the price and availability for the Rand McNally USA atlas). In the UK, the gold standard is Ordnance Survey Maps, which include hiking maps, in addition to the road maps. You can buy the paper maps on Amazon here or download their app. Some of the features of OS Maps app are free, but others require becoming a paid premium member. Bluetooth Kit: Since we play Amazon music from our phones, we use a Bluetooth kit that plugs into the car’s lighter so that we can hear the music through the car’s speakers. You just have to make sure your radio is tuned to the right channel. It also has a USB port to charge your phone too. (Click here to check price and availability on Amazon). The Bluetooth device allows you to use your phone hands-free. This is also especially important when traveling on your own. If you are like us and want to be able to document your road trip, you are going to need to bring the right equipment. Depending on how serious you are about photography, these items could make up a large portion of your road trip gear. Camera: If you have one of the new phones with excellent cameras, you don’t need to bring a separate camera, but if you are like us we use a mirrorless camera. We have had the Sony A6000 for a year and a half and have been very pleased with the quality of photos it takes. (Click here to check current price and availability on Amazon). We also bring along a few different lenses and filters, but for beginner photographers a good camera is fine. Tripod: To get those night time or action shots it’s best to bring a tripod. It’s nice that you can stick it in your trunk and get it out when you need it. You can also use a remote control/timer and the tripod to take photos of yourself or your group without have to ask a stranger. Tripods are the reason solo travelers can still take good photos! We have the Andoer Q666C Carbon Fiber tripod. It’s lightweight, comes in different sizes, folds up to fit inside a backpack, and can convert into a monopod. (Click here to check current prices and availability on Amazon for the Andoer Q666C). GoPro & Mount: We recently upgraded to a GoPro hero black 7 (click here to check the price on Amazon) to film our youtube videos. It’s easy to use and it takes high quality (4K) video. For road trips, I like to get some driving footage. Clipping the GoPro to the sunvisor has not worked too well for us. I usually end up holding it while Russell drives. If you want your hands to be free, it might be worth getting a dashboard mount like this one. More on some of the accessories we use with our GoPro coming up in a future post. Drone: We recently got a DJI Mavic Pro drone and it comes with us on road trips. You never know when you will come across an area you want to capture from above, so make sure the batteries are charged before heading out. We also have a bunch of drone accessories that we bring along too. The Mavic is not cheap, but we have been having a lot of fun with it and it is helping us to up our photography and video game! (Click here to check the current price and availability of the DJI Mavic Pro on Amazon). I have done a few long drives on my own. It’s a great way to clear your mind, but it can be more challenging than if you have a co-pilot. You don’t have that extra set of hands! There are a few more things you need for a road trip when you are traveling solo. Phone Mount: If you are driving in an unfamiliar place it can be hard to figure out the directions and drive at the same time. Make sure you review the route prior to starting out and if you are using a phone for GPS, get a holder to make it easier to see when you are driving. Just a friendly reminder you should not use your phone (especially texting) while driving. This one is easy to install, fits most phones, and is simple to use. GoPro Mount: Also, if you want to film using your GoPro, I would definitely recommend getting a dash mount since you won’t have anyone else to hold the camera. (Click here to check the current price and availability of the dash mount on Amazon.) Again, make sure you set it recording before you set off, and don’t use it while driving. Personal Safety Device: You always need to be thinking about your personal safety, but it is even more important when you are doing a solo road trip. Many cars have an alarm that you can activate, but if something happens when you are not by your car or in a deserted area that may not be enough. In general, I would recommend that you bring along pepper spray, like this one, or something to that effect. You should research the laws related to pepper spray and personal safety devices for all the locations you will be traveling through on your road trip to make sure anything you use complies with the rules. Car Seat and Seat Belt Cover: You need to make sure you have car seats that comply with the laws of the places that you will be traveling to. (Check out this guide for traveling with a car seat). Kids in booster seats with a seat belt might appreciate a seatbelt cover like this. Tablet: You could bring your tablet and play videos. It’s important to use a tablet holder to keep them looking up so they don’t get car sick. I like this one because it’s adjustable, fits most tablets, and is reasonably priced. You might also want to bring kid-friendly headphones for them too – this pair is so cute! Travel Games: There are also plenty of travel games that are great for road trips too. I would avoid any with small pieces (unless they are magnetic). You will want to bring clothes that are both stylish and comfortable on your road trip. Your road trip clothes packing list does not have to include anything fancy. I always try to find outfits that are stylish and comfortable at the same time, and this is especially important for a road trip. Keep in mind you will be sitting for long periods of time, so don’t wear anything too tight. Compression socks might also be a good idea. Also, be sure to check the weather and make sure you dress for the forecast. It’s always best to dress in layers so that you can easily adapt to changing temperatures. For shoes, I like to wear flip-flops if the weather is warm enough. If not, wear some shoes, like ballet flats, that you can easily take off. You will just be more comfortable. One of the good things about taking a road trip is that you don’t have to worry about any airlines baggage rules! I tend to bring a lot with me! Still, you need to be able to find what you need when you need it. I keep important papers (like insurance documents or the car rental agreement) and other small items in the glove compartment and some snacks and water within an easy reach. The rest of the road trip items go in the back seat or the trunk. If you are one of those people that like packing cubes, you may want to get a trunk organizer to help you keep essential road trips items neat and orderly. I like this one that folds up easily when you don’t need it. If you want to keep more in the back seat, you can get a road trip organizer (like this one) to help keep things tidy. I also recommend making a road trip packing checklist to make sure you have everything before you head out. Tires: You need to check the air pressure in your tires to make sure they are properly inflated. Check your owner’s manual for specific guidance on inflation levels. You will also want to make sure the tread on the tires is not too worn. If the tread is worn, you should consider replacing the tires before going on a long road trip. Make sure you also have a spare tire that is pumped up before you hit the road. Oil: Check your oil and add more if needed. Be sure to check your car’s owner manual for specific directions for your car. Consumer Reports also has information about how to check your oil. Windshield Washer Fluid: It is a given that your windshield will get dirty on a road trip, so you want to make sure you have the fluid to clean it. In the US, most gas stations provide liquid and tools for you to clean your windshield when you fill up with gas for free. However, this is not the case in England, they even make you pay for water! If you need a refill, why not try Bug Wash Windshield washer fluid that helps removes bug residue, road grime, bird droppings, and tree sap. Click here to check price and availability on Amazon. Water: Be sure to check that the coolant level is above the minimum level. If not, you can add water. 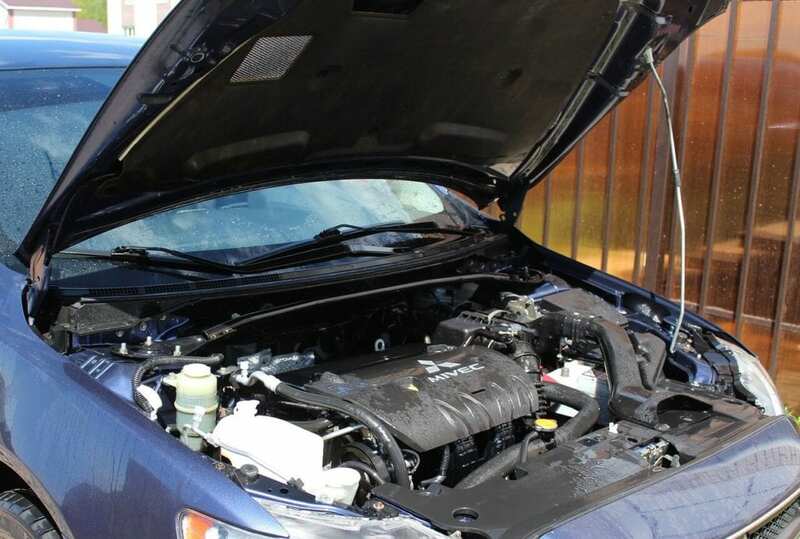 You will find the coolant under the hood. You will want to do a few checks on your car before going on your road trip. Lights: You should check to make sure that headlights, brake lights, and indicator lights are all working. If not, you should replace since you can get a ticket for lights that are out. You also might want to add some spare lights to your road trip supply list in case one goes out during your trip. Gas: It’s always a good idea to start your road trip with a full tank of gas. If you need more gas, I recommend filling up the night before to save time during your trip. Some countries will require that you carry proof of insurance. 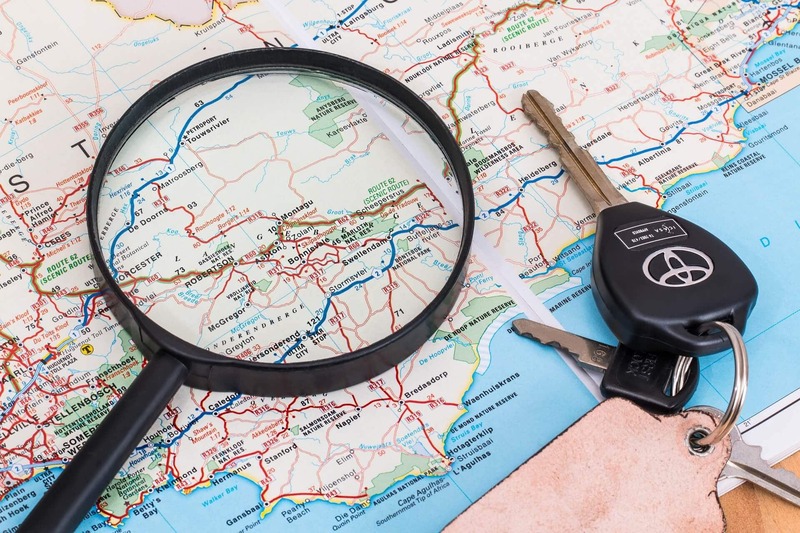 You should check to make sure your car insurance will be valid over the course of your road trip especially if you are doing an international road trip. Additionally, make sure that anyone that is going to help out with the driving will also be covered. It’s smart to make sure you have the phone number for the insurance company with you, just in case. If you are renting a car, I would recommend either purchasing insurance or verifying that you will have car insurance through the credit card that you used to book the car rental. Road trips are my favorite travel but just like other trips they do require some preparation. This ultimate road trip packing list should help you get organized. What are some of the things that you do to get ready for a road trip? Take my road trip packing ideas and create a tailored road trip checklist for your own trip. I would recommend that you do your car safety checks a few days in advance and not the morning that you need to leave. Research the driving regulations for all locations that you will be traveling through. Disclosure: This post contains affiliate links. This means we will receive a small commission for some purchases made using links in our blog with no additional cost to you. Please be assured we would not promote any product unless we believe that our readers will also benefit. The commission does not influence the editorial content of this site. Two Traveling Texans is a participant in the Amazon Services LLC Associates Program, an affiliate advertising program designed to provide a means for sites to earn advertising fees by advertising and linking to amazon.com, amazon.co.uk, amazon.ca. Amazon and the Amazon logo are trademarks of Amazon.com, Inc. or its affiliates. Thanks. Yes you guys do a lot of road trips too. I have two little ones so preparing for any time in the car is a must! Snacks? -check, Potty before we leave? -check, Water? -check. Alice- Yes agree bathroom is a must before leaving and I don’t ever go on a road trip without snacks! Carolyn- Yes if you want to do video, gopro and drone are helpful. More coming soon on all the accessories. And yes it’s so nice that you don’t have to limit your luggage as much. Summer – So glad you found it helpful and your summer road trip sounds epic! Great list! We are preparing for a 4000 plus road trip through Queensland next month and have already started the preparations- can’t wait! Thank you! That sounds exciting! Wow, this is definitely the best road trip preparation guide I have ever seen! Saved as the packing list, just awesome, thank you! Mirela – Thank you. I really appreciate that! I did put a lot of time into this post. This is such a great list, Anisa. It’s funny I often forget the little things like sunscreen and an umbrella, but these are so important. Thanks for the great share! Thanks Michelle! Yes, those are so easy to forget. Rob – I agree, airlines are so picky with carryons! Stay tuned for Russell’s recommendations. I feel like I always forget to actually check and prepare my car for a road trip. I always just hop in and go so thisis a really good reminder. Kelly – Yes, I know a lot of people do, but it is important! I’m planning on going on a two week road trip later this summer so thanks for the tips! I never would have thought about bringing toilet paper, but it’s such a good idea lol. Thanks Sarah. You just never know when you will need it. Maloney – Thank you. Glad you found the post helpful! Such an extensive list! Great tips here. I don’t take road trips enough so when one comes up, it’s so easy to miss something. Jessica – Yes, I have forgotten my share of things too, so I know the feeling. Glad you enjoyed the post. So many great tips in here! We always carry a variety of things in our car, like blankets, to neck pillows, and more! I would like to buff up our road trip kit though! #TheWeeklyPostcard! Lolo – Glad you found the post helpful. The umbrella is definitely a must have. I can’t tell you the number of them I have in my house b/c I forget to bring one and I end up running to the store! Jenn – Haha yes I have definitely been there.